Geogrotesque is a geometric sans-serif typeface created by Eduardo Manso and published by Emtype Foundry that is recommended for display, headline, magazine, editorial projects. It can be used also for big sizes. 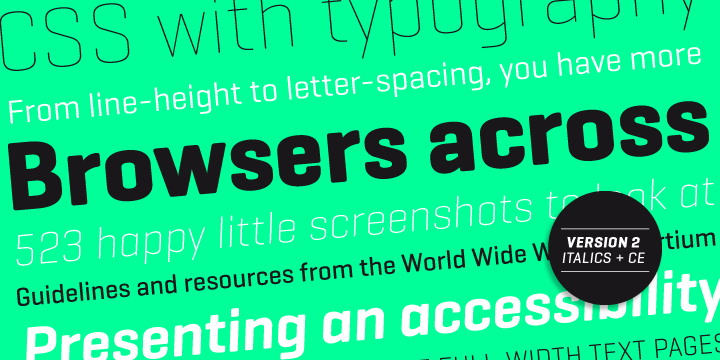 The Geogrotesque font family contains 14 styles, 7 weights from Thin to Bold and italics. Use this power horse! A font description published on Friday, October 11th, 2013 in Emtype Foundry, Fonts by Alexandra that has 7,317 views.